Primactive is the result of Tradecorp’s investment in research and the constant improvement of its manufacturing process. This exclusive technology triggers a series of responses in plants, which alter their physiology, metabolism and genetic response to abiotic stress, stepping up its vigour without depleting its energetic production. Phylgreen is the epitome of Primactive. Phylgreen is a natural Ascophyllum nodosum extract that maintains all its useful metabolites. This is possible thanks to Tradecorp’s unique Gentle Extraction process. The Gentle Extraction process ensures a maximum bioavailability and quality of components, such as antioxidants, which are essential for the detoxification of plants under intense stress conditions, and its rich polysaccharide selection, which is responsible for the Primactive effect. When the plant enters in contact with Phylgreen, the Primactive effect is induced. It triggers a quick signalling response that is transferred across all the plant’s structures (systemic abiotic stress response). This signal affects and modifies cells’ behaviour altering abiotic stress responses (physiological changes, membrane adaptations, stress resistance proteins…), keeping the plant in a phase we call the biomemory effect. 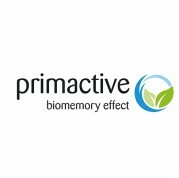 In absence of incoming stress, Primactive promotes a more intense carbohydrate metabolism, increased plant environment awareness and tissue reinforcement. The plant is hardened, and its metabolism is optimized in expectation of future stress, without neglecting normal development. When a stress condition occurs, the plant will be prepared, reacting quickly and efficiently (lower energy requirement), and thus, mitigating the impact of stress. Primactive’s mode of action entails a double benefit. On one hand, it allows for higher yields. The energy saved throughout the cycle increases yield production capabilities, because the production capability is proportional to the plant’s energetic status. On the other hand, Primactive allows for top quality harvests, by reducing the negative impact of disorders and unbalances produced by stress.